Summer driving comes with a host of issues, including heat, glare, and heavy traffic caused by lots of tourists in Homestead and across South Florida. There many ways that you can stay safer during the summer, including focusing on your driving rather than driving distracted. Tires should grip the surfaces of the road correctly and should help you brake correctly to avoid collisions. Make sure that your tires are correctly aligned and properly inflated. Check the treads to make sure that your tires are not too worn. A simple test is to insert a penny into the tread of your tires. If you can see much of Abraham Lincoln’s head on the penny, your tires are too bald. If you notice that tires are worn unevenly, this may be a sign that your tires are incorrectly aligned or overinflated. Windshield wiper fluids, gas, and oil help keep your car running smoothly. Top up your fluids today. Adjust your mirrors so that you can see clearly. If you’re headed on a road trip with a trailer or towing a boat, you’re probably creating extra blind spots for yourself. You can buy rearview mirror and side view mirror extenders that will allow you to see around these obstacles. Glare is one of the hazards of summertime driving, especially in Homestead and South Florida. To help offset it, make sure that you wear sunglasses to help protect your eyes against the sun. If you’re going on a road trip, consider driving when the sun’s glare is weaker and plan rest breaks for the hours around sunrise and sundown, when the sun may be shining directly in your eyes. In addition, make sure that you cover your front windshield when you park your car or try to park in a shady spot. Without this simple precaution, you may find your wheel literally too hot to handle. Hot weather can wreak havoc with your car, causing it to overheat. Engine overheating and coolant problems are very common issues during summer weather. 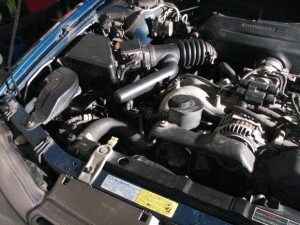 To prevent the problem, clean the air conditioning condenser and the radiator fins. Replace the radiator cap if it has been a while; this part of the car can warp with heat and can affect your car’s ability to stay cool. If you have been injured by a car defect, recalled car part, or a negligent driver, the attorneys of Flaxman Law Group would like to hear about it. Our law firm has helped thousands of personal injury plaintiffs across South Florida secure compensation for their injuries. If you would like to find out whether you qualify for compensation, contact our legal team today for a free case analysis.